Students often provide an answer or opinion or make a claim to a comprehension question but may neglect to back it up with evidence. Providing evidence needs to become a regular facet of all reading classrooms. Today's literacy standards expect students to always provide two-part responses: 1) What do you think? and 2) Why do you think that? This second component is the textual evidence, and it's a required element in all standardized reading assessment questions. After correcting this first evidence error, expect a new problem. Students may attempt to explain their thinking using prior knowledge. This is the difference between talking off the text and talking about the text. 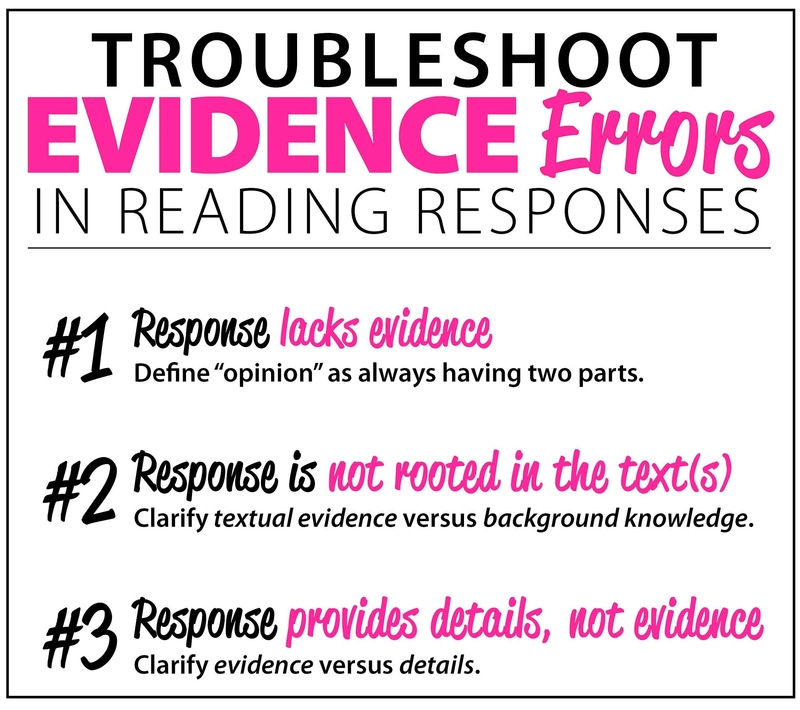 Reading responses must include supporting evidence provided by the authors--not the reader's background knowledge. Reinforce this idea with Finger Puppet Peepers. 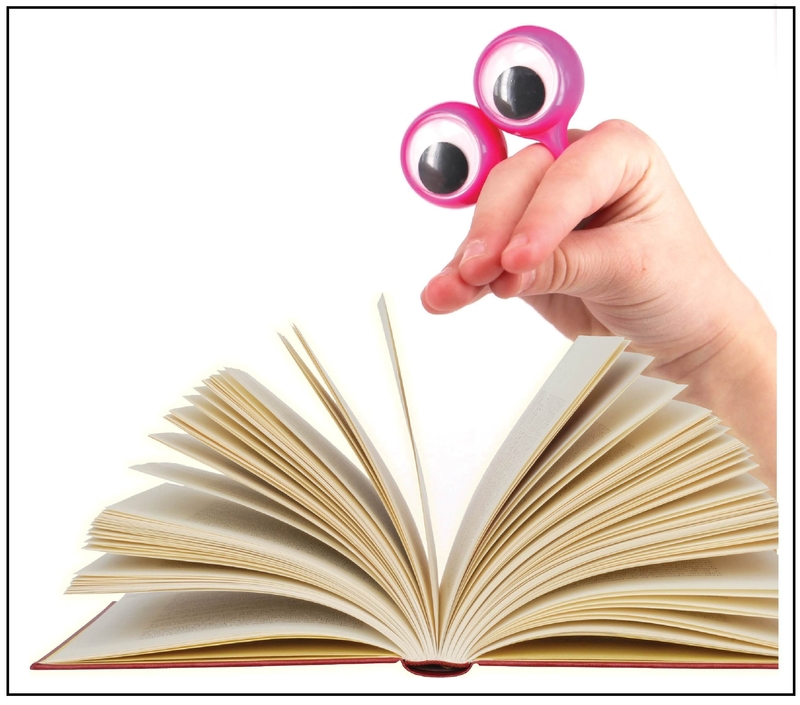 Students must be able to "eyeball" the detail within the text in order for it to count as textual evidence. As students return to the text to support their inferences, they sometimes think any detail will work. They begin plucking out miscellaneous words and phrases thinking they are citing evidence. However, often these details are just that--details from the passage. All evidence is a detail, but not all details are evidence. Choosing random details doesn't provide support for the student's opinion. The details have to be related to the point being made. For additional information on troubleshooting this evidence error, teach students to discern the difference between evidence and details with Evidence Sorts.